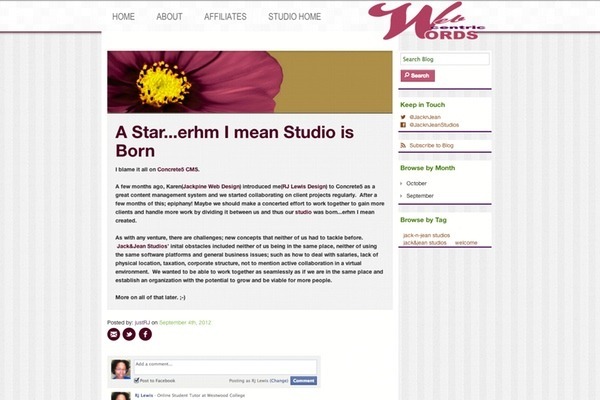 In conjunction with the launch of the Jack&Jean Studios brand, we created this blog. This was my first foray into the use of Zurbs' Foundation Framework. I designed this in Photoshop and coded this site using Foundation 3. I did not try the sass version at first – this was just a build from the custom CSS download. I did Concretize it and this was my first time turning a theme into a package.